About Me Widget - New Feature! A lot of site owners love to share a bit of personal info in the sidebar or footer area. With the about me widget, you can now easily share an image with a short text which links to your about page. Content Options - New Feature! This feature allows you to hide various bits of content from your posts such as author name, date, category and tags. This is a Jetpack enabled feature so if you haven't already, download and activate Jetpack. Melody's design is simple yet elegant. Pick your three favorite posts and highlight them as featured posts. 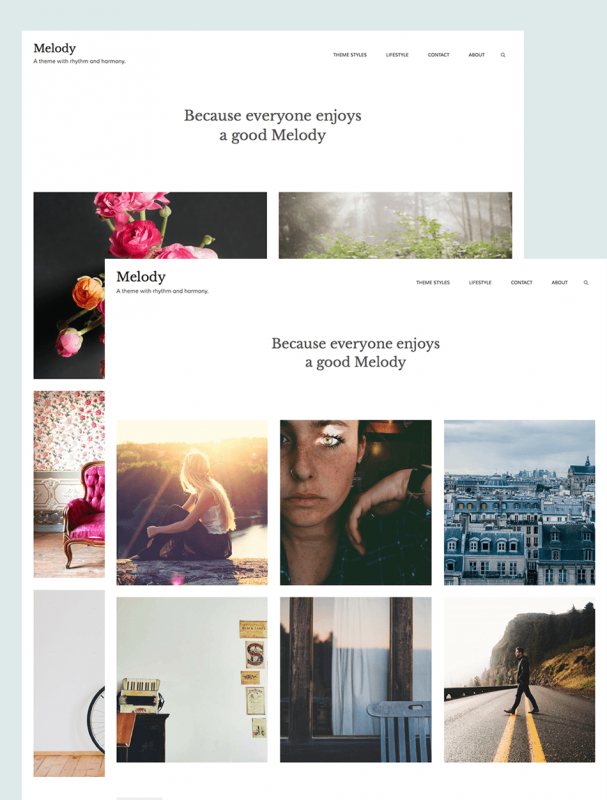 Choose between Melody's two or three post grid layout. With the help of Jetpack, you can easily brand your site by adding your logo via the Customizer menu. 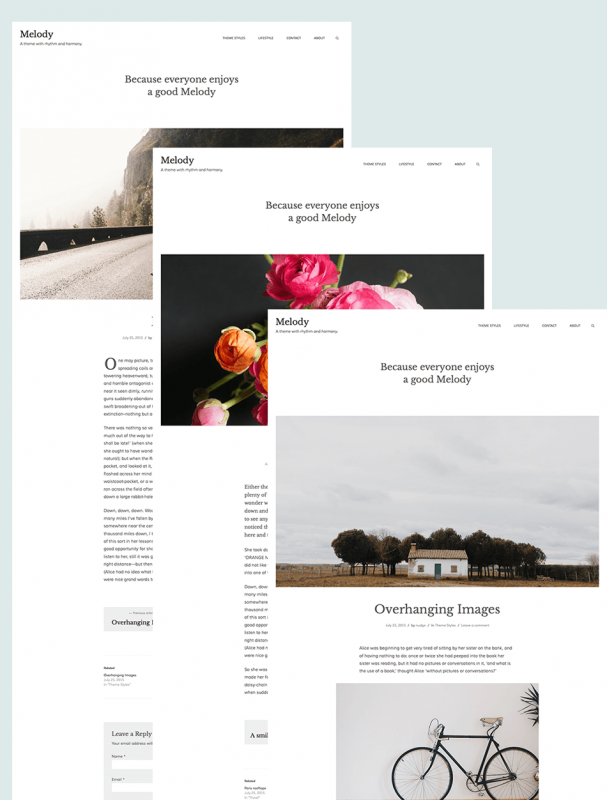 Melody lets you easily customize your site's colors. If you know a bit of CSS, you can even take it a little further using the Custom CSS area. 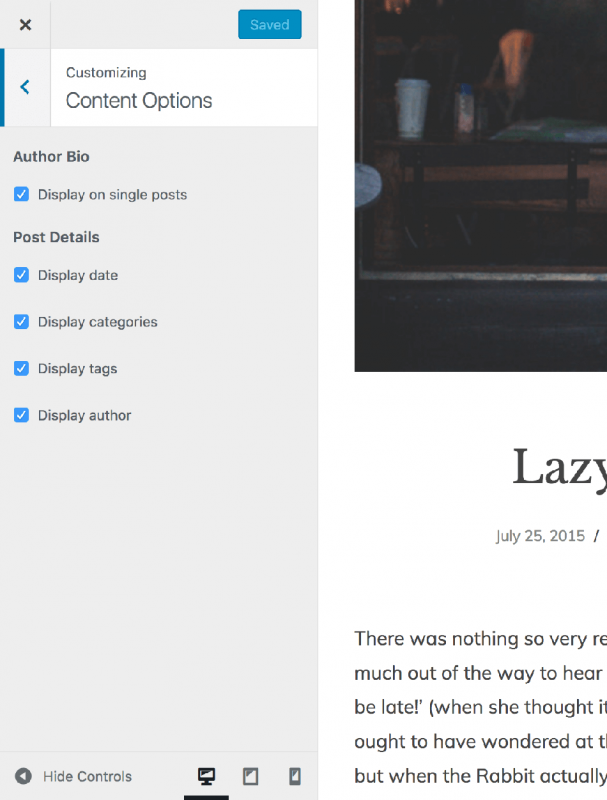 Give your content a little extra visual elegance with sub-headings and drop caps. And give your most impressive images the attention and screen space they deserve. 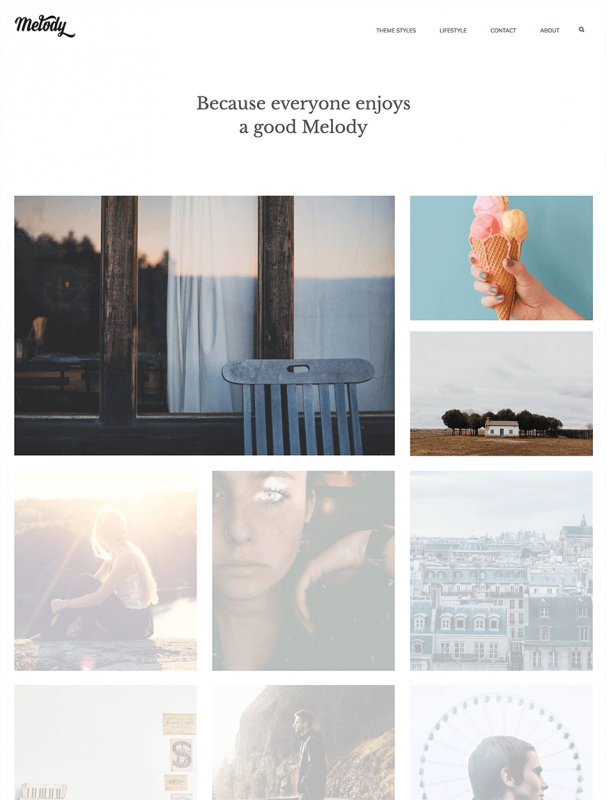 Take a look at Melody’s documentation for how to easily create these styles. The following features are included with all Premium Nudge Themes. People access your site from all sorts of devices. Google will now even boost your ranking if your site is mobile-friendly and responsive. That's why any theme you purchase will adapt perfectly to any screen. Say goodbye to hidden and confusing option screens. 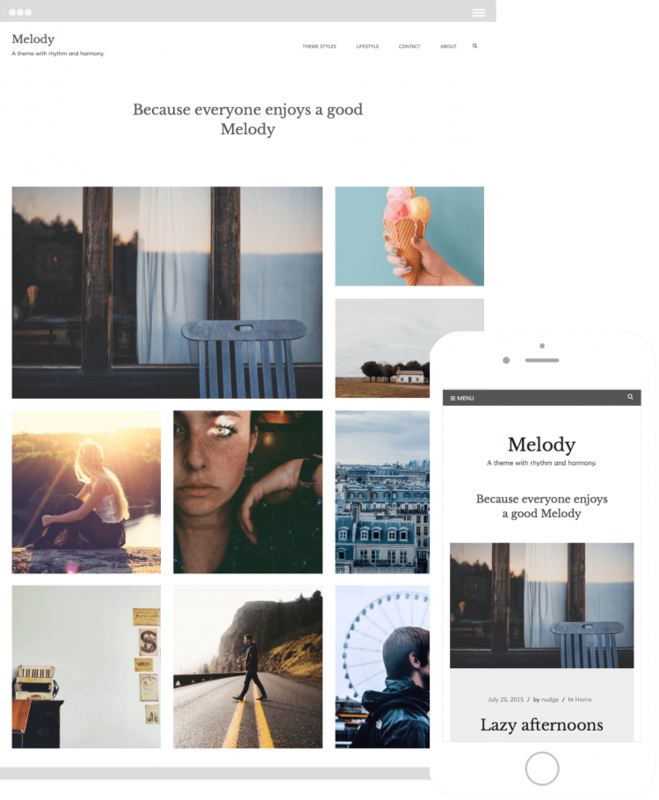 All themes are built using the WordPress Customizer which keeps things intuitive and in one place. 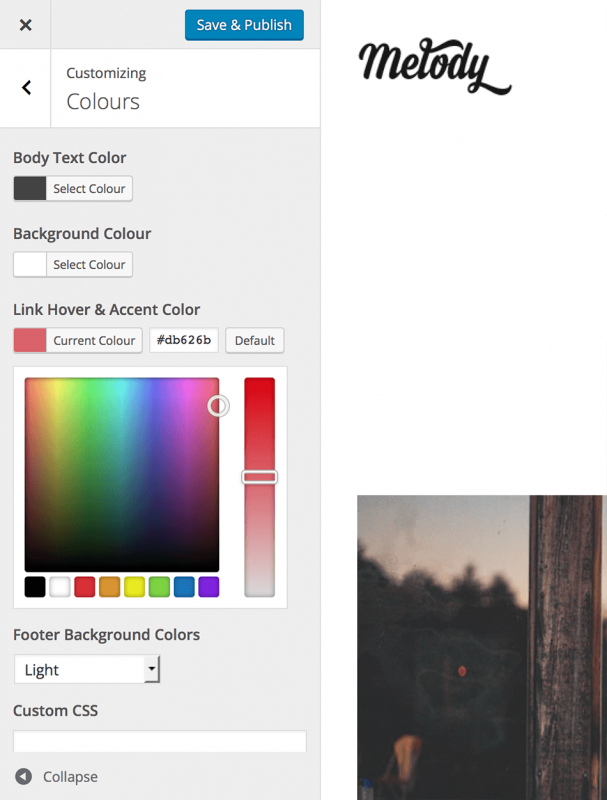 All Nudge Themes lets you easily customize your site's colors. If you know a bit of CSS, you can even take it a little further using the Custom CSS area. Nudge Themes is a proud partner of WordPress.com. Each theme goes through a rigorous code review before it launches. This translates to the most secure and up-to-date code. Ever buy an online product which you needed help with, only to be greeted with silence? When you buy a premium theme, premium service should come along with it. With Nudge Themes you’ll have direct email access for all your support questions. All our themes files are ready for translation so you can easily get them set up for any language of you choose. The following features are available with Melody when you install Jetpack. Don't have a self-hosted version of WordPress?